Holy Cross is a community living for Christ in the power of the Spirit. To make disciples who make disciples of Jesus. • Growing disciples through Life Groups. • Equipping parents to disciple their children. • Reaching beyond ourselves to love and serve others. Our location on Sullivan's Island is the original and largest Holy Cross campus. It reflects the wide spectrum of people at Holy Cross joyfully worshipping Jesus Christ through four different Sunday services. Each Week, our Sullivan's Campus is home to life groups, recovery groups (such as AA), youth ministries, community events, prayer ministry and much more. It's also the home of a Wednesday morning Communion service at 10am and other parish events throughout the year. Handicap accessible parking is available from the Middle Street parking lot. To learn more about living life together at Holy Cross on Sullivan's Island, contact The Rev. Trevor Spencer (843-883-3586 or Trevor@holycross.net). Nestled in the heart of the Daniel Island community at the corner of Seven Farms Drive and Daniel Island Drive, this beautiful, purpose-built campus has been offering three great worship choices every Sunday morning since April 2006. These services include a 9am Contemporary Service with Communion, a half-hour long 9:15am Children’s Family Service, and an 11am Traditional Service with Communion. With great preaching, excellent music and timeless liturgy, we have something to offer for everyone. So come as you are, we‘re always glad to see you! Beyond Sunday, we also have many different activities going on throughout the week including an excellent pre-school (HIS School) during the school year and a summer camp for children ages 1-10 during most of June through August. There is also a thriving Scout Troop that calls Holy Cross its home, as well as a number of small group bible studies and community ministries. To contact our Campus Pastor, Jonathan Bennett, please call (843) 883-3586 or email jonathan@holycross.net. The Holy Cross Daniel Island office is open Monday through Friday, 9am-12pm. Please feel free to stop by! Overlooking the commercial square at the main entrance of the I’On neighborhood is our newest campus, which is conveniently located to serve those who live in central Mount Pleasant, particularly off the Mathis Ferry/Johnnie Dodds corridor. Each week, families gather in the intimately-sized building inspired by the simplicity and timeless beauty of historic Lowcountry chapels. There are two services each Sunday, a 9:30 Children's Family Service and 10:30 a.m. Rite II Service with contemporary hymnody. In addition to Sunday worship, Holy Cross life groups are being established in homes in I'On and along the Mathis Ferry corridor to build community and share life together. To learn more about I'On, contact our I'On Campus Pastor Sean Norris at (843) 883-3586 or Sean@holycross.net. As Anglicans, we are part of a global communion of churches established over the centuries by the Church of England. The Anglican Church is a biblically based church with ancient roots and a treasure of rich resources that help us grow as followers of Jesus Christ to love God and serve our communities as Christians. Anglicans have always sought to worship God faithfully with living forms of worship. Therefore, our services and liturgies mirror the worship of the ancient apostolic church while incorporating the common language and culture of the communities in which they are practiced. Furthermore, Anglicans incorporate both ancient sacramental practices and visual symbols to celebrate the certainty of our faith and the mysteries of God. Together, sacrament, symbol, and word, enlivened by the Holy Spirit, connect our senses with our minds and hearts. In order to remain true to the teachings of Christ and the apostles, Anglicans have historically upheld the Holy Scriptures as God’s Word, have held to the summary of evangelical beliefs known as the Thirty-Nine Articles of Faith, and have accepted the three great Christian creeds, the Apostles’ Creed, the Nicene Creed, and the Athanasian Creed, as the fundamental statements of the Christian faith. We celebrate the sacraments of baptism and the Lord’s Supper as commanded by Jesus and we uphold the historic order of bishops, presbyters, and deacons in the administration of the church’s life and mission. Today the worldwide Anglican Communion is experiencing both tremendous stress and tremendous renewal. The stress comes as some provinces depart from historic Anglican faith and practices and from the orthodox understanding of the Holy Scriptures. On the other hand, the renewal comes from the explosive growth of the gospel through Anglican churches and missions in many locations, particularly the “two-thirds world.” For example, there are more than 15 million Anglicans in Nigeria— over 5 times more than all the Anglicans in the United States. Chris began pastoral ministry at Holy Cross in 2003 and served as Associate Rector until 2007 when he was called to leadership at Saint Christopher Camp and Conference Center. After spending four years as Rector and Executive Director there, God called him to return to ministry as a pastor at Holy Cross. In 2015 he was officially installed as Rector (Senior Pastor) of the church. Chris is passionate about prayer, mission, and equipping and empowering God’s people. His call from the Lord is to teach, preach and pray and his purpose in life is to know God and make God’s glory known. When he's not working, you can often find Chris on the beach (likely surfing). He and his wife Catherine enjoy life with their 3 children (Anna, Caroline, and Nathan) and two dogs. Jonathan is English, but has been in the United States since 2002, when he moved here to be the Senior Youth Pastor at Holy Cross. During this time Jonathan met & married Melissa, also a youth pastor, and they worshiped at Holy Cross Daniel Island for the first two years of its existence. In 2008, Jonathan went to work in Youth Ministry at Camp St. Christopher. While there, he discerned a call to ordained ministry. 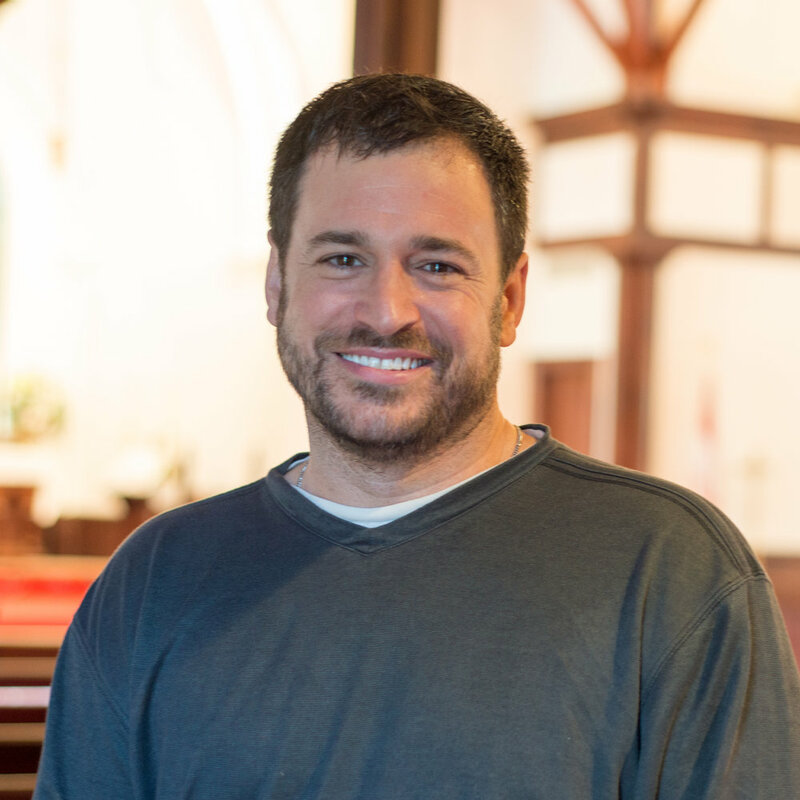 After graduating from Trinity Seminary, Jonathan was the Associate Rector at the Cathedral Church of St Luke and St Paul, Charleston, before being called to be Associate Rector & Daniel Island Campus Pastor at The Church of the Holy Cross in the spring of 2015. Jonathan and Melissa have three children: Hannah, Caleb, and Lizzie. As a family, they like walking, riding bikes, playing games, watching movies and playing soccer. Sean was born and raised in Pittsburgh, PA and is from a large family of seven children. He met his wife Kate while they were high school students on a church missions trip to Mexico and have been together ever since. Sean served many years as a lay leader in various churches and para-church ministries in both Pittsburgh and New York City, but his call to ordained ministry arose out of a profound experience of being met in his brokenness and pain by the radical grace of Jesus Christ. He graduated from Trinity School for Ministry and was ordained a priest in the Anglican Diocese of Pittsburgh. Sean and Kate felt God’s call to plant South Side Anglican Church in Pittsburgh in 2011. During their five years planting and leading South Side Anglican they welcomed their two daughters, Rhyan and Skylar, into the world. In the summer of 2016 they followed the Lord’s call to be Associate Rector & I’On Campus Pastor at The Church of the Holy Cross. Sean loves playing with his family, singing and song writing, hanging out on the beach, exercising, watching movies, and tinkering with cars, motorcycles, and anything with an engine. Trevor, also known as "Trevorend" thanks to the youth group, grew up in Summerville and has called Charleston home for most of the time since graduating from the University of South Carolina. He’s been a part of the Holy Cross family since 2006, first as member and now as Associate Rector and Executive Pastor after discerning a call to ordained ministry and attending seminary in Ambridge, Pa. In addition to preaching and pastoral ministry, he focuses on the organization of Holy Cross, youth ministry, men’s ministry and life groups. Trevor’s heart is for community, recognizing that each Christian is called to minister out of a deep, abiding, and intimate connection to Jesus and to his body, their fellow Christians. Trevor and his wife, Rachel, live in West Ashley. Bethany has worked with children and families in many capacities as a Montessori educator, arts teacher, and tutor. Her most recent position included 5 wonderful years as the Elementary Children's Minister at St. Andrew's Church in Mount Pleasant. Bethany and her lovely husband Doug live Downtown Charleston. In her free time, she can be found writing music, or working on one of her many unfinished art projects. She is grateful and excited to be joining the families at Holy Cross in their mission to raise children who are enthusiastic followers of Jesus. Catherine grew up in the South and has her roots in Charleston. She initially came to Holy Cross in 2002 alongside her husband, the Rev Chris Warner and their three children. She graduated eons ago from UNC Chapel Hill and has taught Spanish and ESL in public and private settings. She has run her own businesses as well as actively participated in ministry in a variety of capacities since her childhood. She is most passionate about God and sharing His love with others. She also loves being with Chris and her kids at the beach, hiking in the mountains, reading a good book, shelling or being with friends. Chloe was born and raised in Woodstock, Virginia and is the oldest of four. She attended Roanoke College and then to the University of Georgia before moving to Charleston. Chloe now resides on James Island with her husband Philip, her daughter Olive and their dog Beauregard. Chloe began her work with Holy Cross back around 2009 as a lead nursery worker. When her daughter was old enough to go to Holy Cross Island School, Chloe began teaching at the Island School. This is Chloe's 5th year at the school, teaching the ones class for 3 years and now onto her second year in the threes class. Just recently Chloe has taken over as the Preschool Ministries Director as well. She is very passionate about working in children's ministries and teaching children the joy and love of Jesus. God has been at the center of her life since she was a young child and she wants to help know just how much God is there for them. When Chloe isn't seen around Holy Cross you can find her at her favorite place, Folly Beach looking for shark teeth with her daughter or at one of the local parks. Chloe enjoys reading, playing tennis, walking her dog and spending time with her family. Ellin was born and raised in Philadelphia, moved to Buffalo, NY for 23 very cold years, and ended up in Mount Pleasant in 1999. Her move to the Lowcountry and becoming a member of The Church of the Holy Cross in 2007 are two blessings she thanks God for every day. Ellin and her husband Skip met in college as Psychology majors and have been married for forty something years. They enjoy hiking, travelling, history, and spending time with their three grown children and spouses, six grandchildren and two crazy Border Collies. Jonny was born in High Wycombe, England and spent his life there until he moved to Charleston in August 2006, and begin his ministry at Holy Cross, serving as Youth Pastor to both our middle and high school students and their families. "Before Holy Cross I served at my home church in England from a student leader at 17 all the way to Youth Pastor, 10 years in total. In 2010 I married my wife Katie and she serves alongside me which is such a joy. We both love working with students and seeing them live into their God given identity as disciples through the gospel. We look forward to helping you share faith in Christ with your children. In my free time I enjoy: watching English football (come on you SPURS), the Packers, movies (lot's of movies), and sunsets. Board games with friends, traveling, pizza, anything with caramel and a good cuppa tea." Marlo is an Alabama native, who has been living on Daniel Island for almost 7 years with her husband, Travis and her children, Emerson and Sawyer. She began her children's ministry working at HIS School on Daniel Island as a lead fours teacher, then stepping away from the classroom when the opportunity to lead as the Assistant Director for the program became available. This is her sixth year at Holy Cross in the HIS School ministry. Prior to being at Holy Cross, Marlo taught in Birmingham, Alabama, in a public elementary school and was also blessed to stay at home with her family for many years. She feels so blessed to have the opportunity to share God's love with so many wonderful kids at HIS School and feels privileged to be working with parents and teachers, teaching chapel weekly and serving at the Children's Family Service monthly. Melissa has been doing youth ministry in some way, shape or form since 1998 and joined the staff of Holy Cross in 2015. She is passionate about teaching students God's Word, helping them learn how to read the Bible for themselves, and steering them in the direction of Jesus as they navigate this world...and adolescence! She enjoys sewing, reading novels, exercising, playing games, baking, and enjoying the products of said baking. Melissa is married to the Rev. Jonathan Bennett and together they have three children: Hannah, Caleb and Lizzie. Sue began her journey with our Lord as a child on James Island in a Baptist Church. She met her husband, DuBose, at the University of South Carolina. DuBose introduced her to Holy Cross, and Sue says, "I fell in love with it and quickly began volunteering in children's ministries." Prior to serving at Holy Cross Sue was Vice President of Strategic Services at Roper Hospital in Charleston. She joined the Holy Cross team in 2009 to lead children ministries and transformed a "mother's morning out" program into the one of the top preschools in the low country. "I praise Him for blessing me with this amazing job!! I hope to help many children learn about God's vast love for them." Ann is a native Charlestonian and has served as a church musician in the area for 43 years. She says she does not remember the time she did not play the organ on Sunday morning. Her father was her first organ teacher. She has been the director of Traditional Music at Holy Cross for 18 years. She is a former Dean of the Charleston Chapter of the American Guild of Organists and is currently on the executive board. She says "Being at Holy Cross is a great joy in my life! I have watched people grow deeper in their walk with the Lord." Her passion is excellence in worship and teaching children to be passionate about leading worship through music. Her hobbies are 5K runs, gardening, and swimming. Ann has been married to Steve for the last 40 years and has two wonderful adult children, Angela and Billy. Jesus has blessed us so with our first grandchild, Jason, who she keeps every minute she can. Jake grew up in a musical family in the Columbia area, and has been involved in leading music for churches for over a decade. Jake loves making music and leading the church into worship through song. In addition to leading worship for Holy Cross, Jake is a piano and guitar instructor, and he has as love and passion for teaching music to others. Jake is married to Jessica Willis, Holy Cross’s Communication Director. They moved to the area in 2017 to be a part of the Holy Cross family. Jake can be found watching Jeopardy! at 7:30 each night that he is home, unless there is Gamecock basketball game on. Stan was born and raised in Charleston. He has been involved in musical ministry since high school, back in the 1900’s. He was married to his beautiful bride, Jenna, at the Church of the Holy Cross. Jenna and Stan have 2 wonderful children, Logan and Bryce. Stan has always enjoyed music. He plays a variety of instruments, but mostly enjoys mandolin and acoustic guitar. He loves to worship God and strives to help others to do the same. Trey was born a Charlestonian, raised a Charlestonian, and even graduated from the College of Charleston. Dude could never leave. In 2003 he married his beautiful wife Kelly and they have 3 amazing kids. In 2005 he joined us as our Contemporary Music Director. Other than leading people in the musical worship of God, he enjoys creating original musical compositions, arranging, song writing, helping people of any age learn how much God loves them and how to love Him back, studying theology and apologetics, playing tickle monster with his kids, a good cup of hot tea, Star Wars, and of course...dad jokes. Chris has served God at Holy Cross longer than any one person in her history. He began his ministry in 1978. A life-long resident of Mt. Pleasant, Chris is a husband, father, grandfather and great-grandfather who loves the Lord and shows His love to everyone. Hal and his family have been members of Holy Cross since 2005 and he has been part of our staff since 2007. As Facilities Manager, Hal maintains the buildings, grounds, I.T. and Sullivan's Island facility scheduling. He enjoys time with his wife Leslie and daughter Lila. Hal enjoys carpentry and beekeeping. An admitted "Disneyholic," Hal always looks forward to the family's annual pilgrimage to Disney World. Jessica is a missionary kid who was born in Indonesia and grew up in the Philippines. She moved to North Carolina in middle school and has lived in the Carolinas ever since. She has had a front-row seat to ministry her whole life and the Lord used that to put a call on her from a young age to use her skills in photography and storytelling to work for the Church. Jessica is married to Jake Willis, who serves as one of the contemporary worship leaders. She loves spending time with Jake and their fluffy pup, Louie, on the beach, or playing outside. Leslie was born and raised in Greenville, South Carolina and has served in many facets of church ministry for over 20 years. She says she feels blessed to have served on our Holy Cross staff for over ten years now. Leslie and her her husband Hal have a daughter, Lila, and dog companion Phineas. Sis has been a part of our Holy Cross staff since 2001, and provides a loving home for her family - Nilla, yellow lab, Red Dog, a mix, and Gracie, the cat. Greetings on behalf of the 2019 Vestry for the Church of the Holy Cross. The purpose of this letter is to give you an idea of who we are and what we do as a Vestry Leadership Team. The vestry is comprised of both men and women whom have a strong desire to serve Christ and our church. 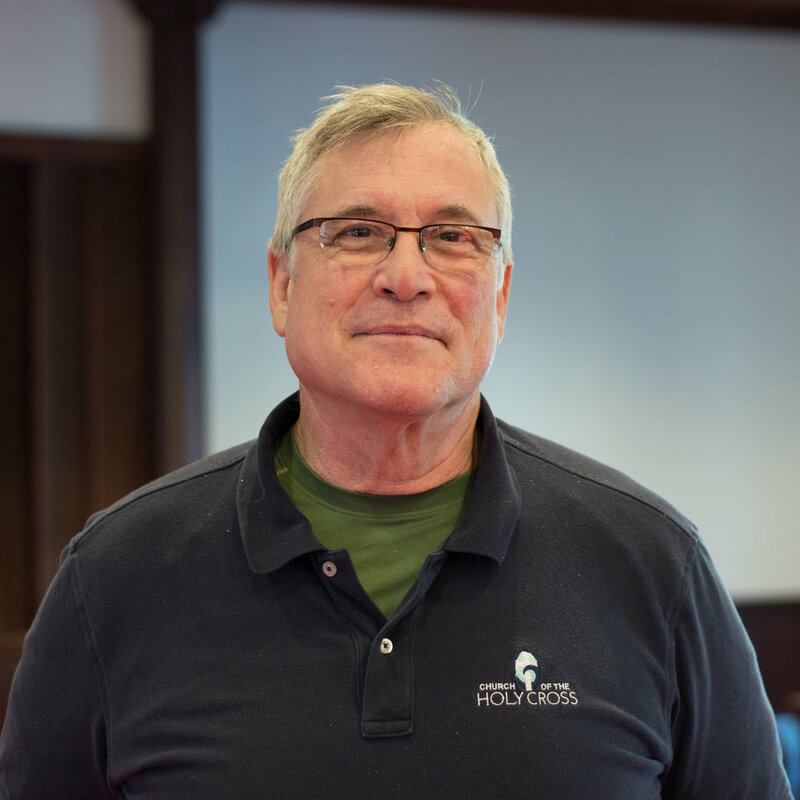 We come from all campuses, and we are elected by our congregation at our annual meeting, We meet every other Tuesday with Chris Warner and our finance team. While we do have many responsibilities, our first and foremost purpose is to spiritually intercede for you, our congregation. We do this together as a group by reading and meditating on scripture, through much thoughtful prayer, and through periodic fasting. Each vestry member belongs to a Holy Cross life group, and has a passion for disciple making and Kingdom building. Speaking on behalf of the vestry, we welcome all communication from the congregation. Feel free to email, call or speak to us at a service. Our name tag will have vestry written on it.